Icthus — The Bible designed for reading. The Bible designed for reading. Icthus is a Bible app for iPhone and iPad. 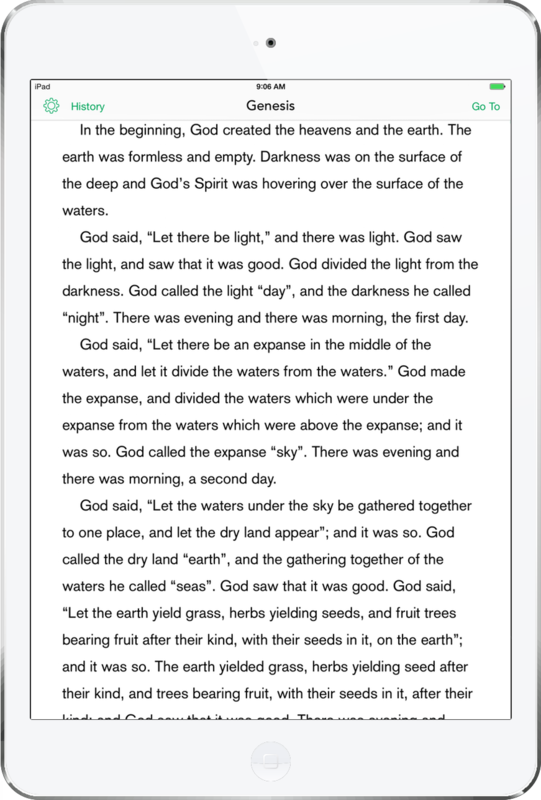 Its goal is to present the text of the Bible in a clean, modern interface. Most of our Bibles are designed for reference. Icthus is designed for reading. Icthus removes chapter headings and footnotes. Chapter and verse numbers are hidden until you need them. The font is large with plenty of space between lines. No red text, no narrow columns, nothing to interrupt your time with the Word. 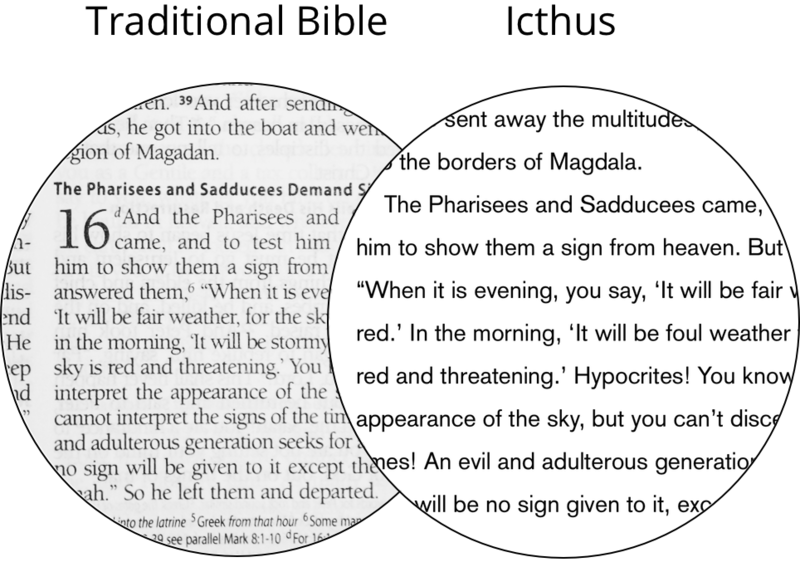 Icthus removes distractions so you can read the Bible like any other book. Icthus is completely free. You can even have the source code. No matter where you are, you can get to any chapter in the Bible in just a few taps. Reading multiple books at once? Icthus keeps track of where you've been so you can keep your place in as many books as you need. Icthus keeps your History the same on all your devices, so you can always pick up where you left off. Icthus offers the World English Bible, the American Standard Version, and the King James Version. Ready to download Icthus? Go ahead, it's free. Want to get in touch? Check out the contact page.